Should You Hire a Real Estate Agent or Go For Sale By Owner? Home » Blog » Home Sellers’ Series: Should You Hire A Real Estate Agent? Home Sellers’ Series: Should You Hire A Real Estate Agent? 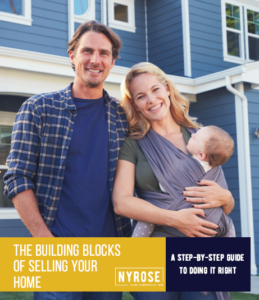 There are a lot of things you can DIY (do-it-yourself) when it comes to your home, but selling it shouldn’t be one of them. Sure, it’s possible to sell your home yourself, and a few quick searches on the Internet will yield plenty of advice, how-to’s, forms and documents to get you started. But your home is one of your biggest financial investments. When it comes time to sell, it’s wise to hire a professional. The process to sell your home isn’t as simple as many people assume. From marketing your home to ensuring agents will show your home to prospective buyers, to completing the legal paperwork, it can really pay to have a professional on your side. Want to learn more about home selling? Real estate agents have access to the most up-to-date information on recent sales of comparable homes, as well as possible competing homes in your area. They use this to determine the price of your home. You might think you know what your home is worth, but experienced Realtors® have priced hundreds of homes, and have the experience and information to set the best price. Do you know where buyers turn to find their home? Do you know what buyers want to see in a home? It’s not enough to put up a sign on the lawn and hope for the phone to start ringing. Good agents market their listings aggressively. They recommend staging techniques, invest in professional-quality photographs, and make sure the house can be found where buyers are looking, both on and off the Internet. An experienced agent has spent years building their connections. This network includes potential buyers, fellow agents, lawyers, appraisers, and home repair contractors. Because real estate agents are experienced working with buyers, they know how buyers think. This helps them when it comes time to negotiate the sale of your home. There are many factors to negotiate including price, dates and timelines, inclusions and more. Experienced Realtors® know how to structure and write a contract to protect your interests. Do you really have the time it takes to successfully price, market and close the sale of your home? Professional agents are dedicated to keeping up with market knowledge, marketing homes for sale, nurturing buyer leads, negotiating contracts and seeing your sale through past the finish line. I completely agree that real estate agents are better able to negotiate and understand contracts. My friend is looking to buy her first home, so these tips will help her find a great agent. I’ll definitely share this with her. We are glad you enjoyed the article Bethany! Thanks for sharing it with your friend, we hope to hear from her!